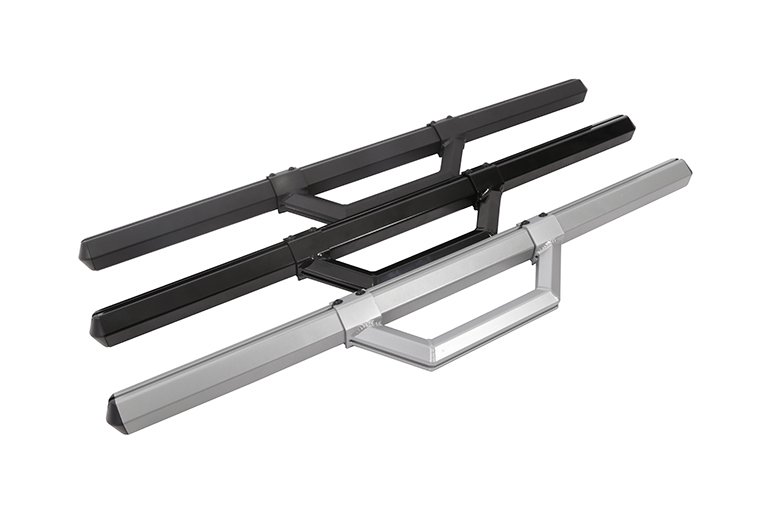 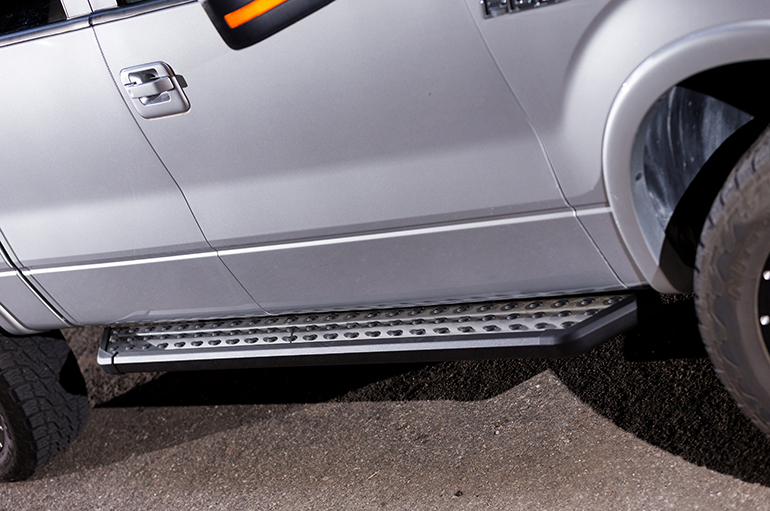 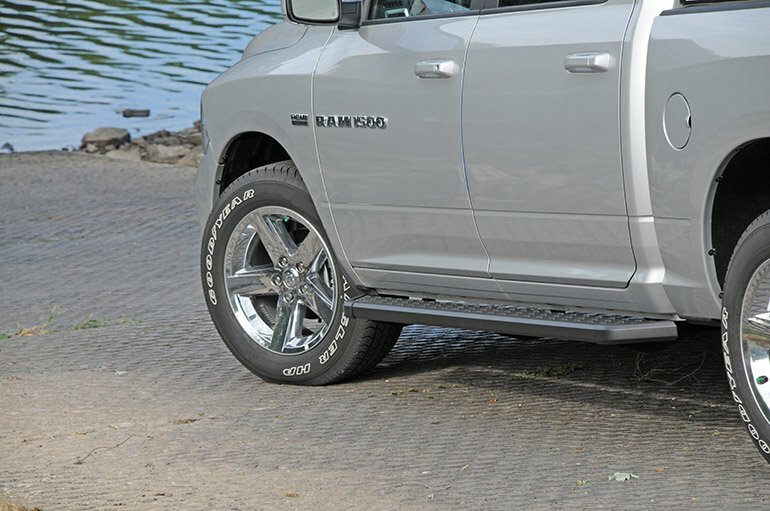 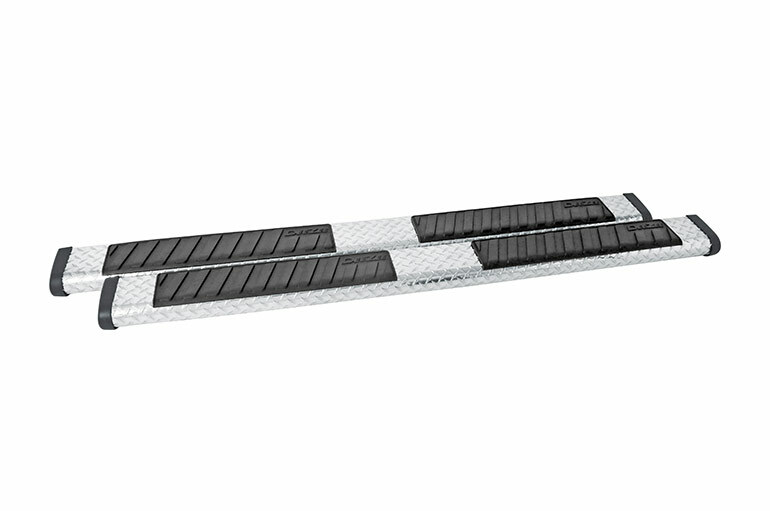 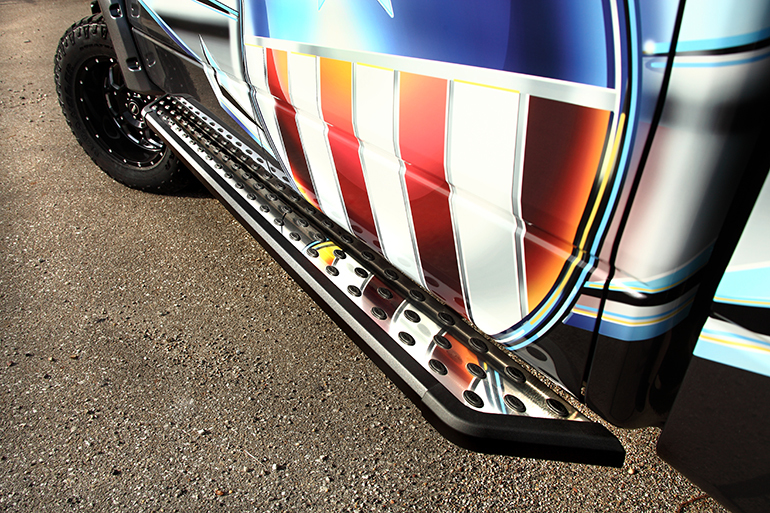 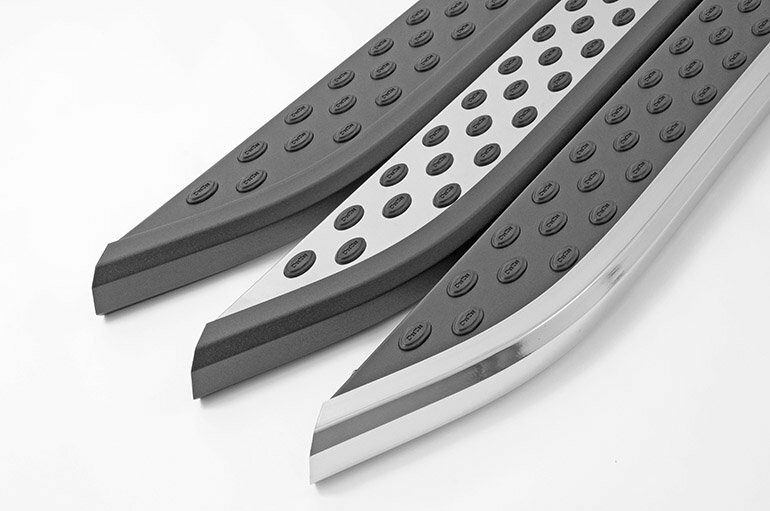 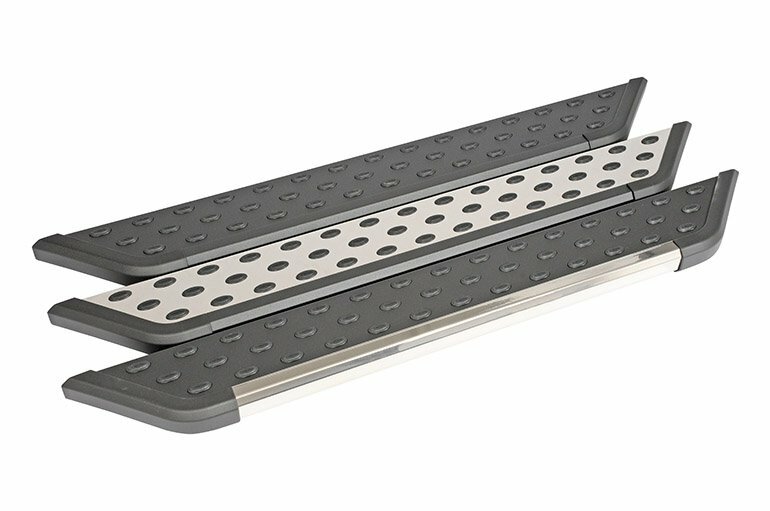 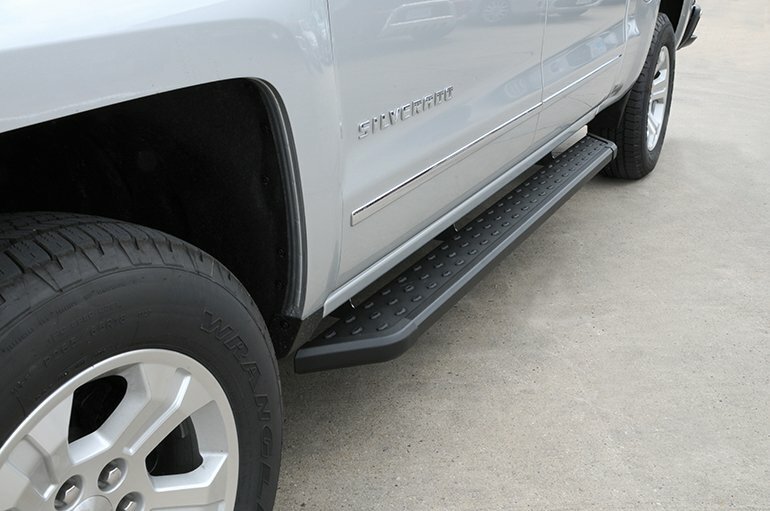 With three distinct styles, you can be sure to find the perfect NXt Running Boards for your truck. 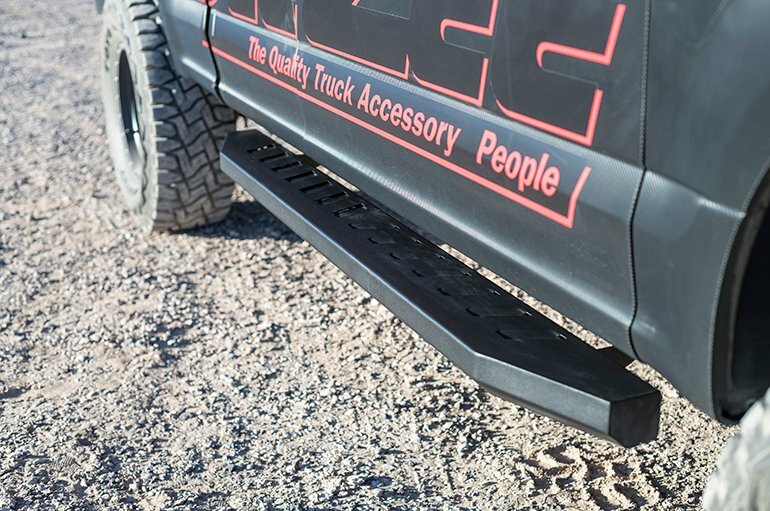 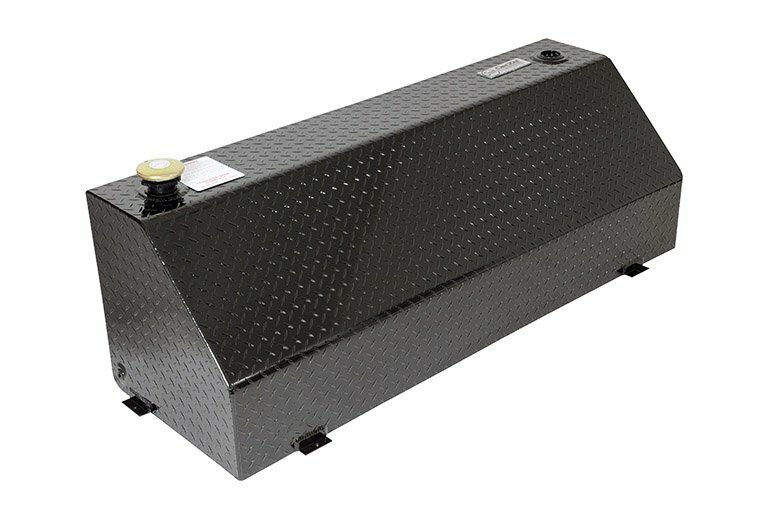 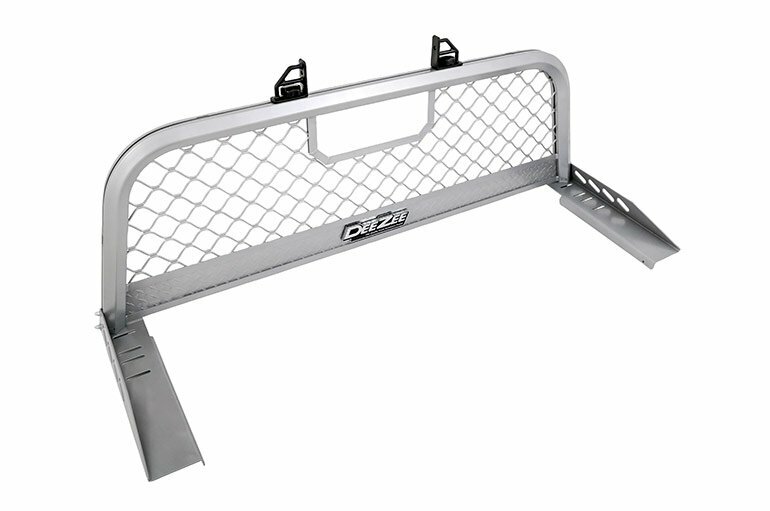 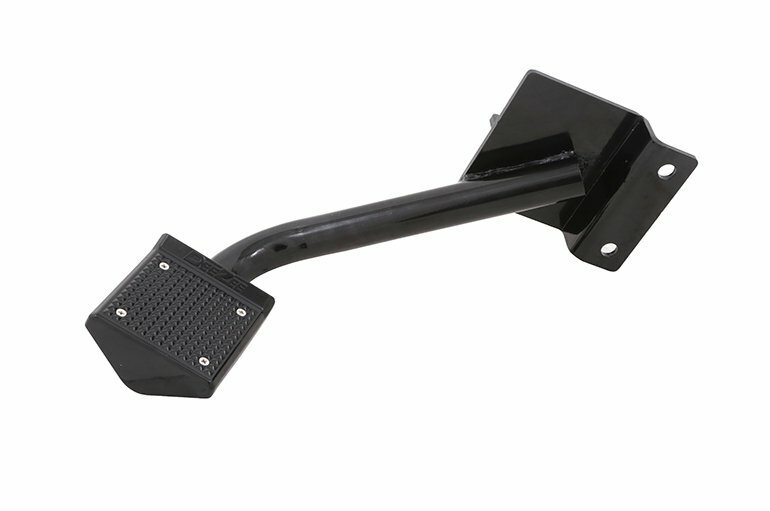 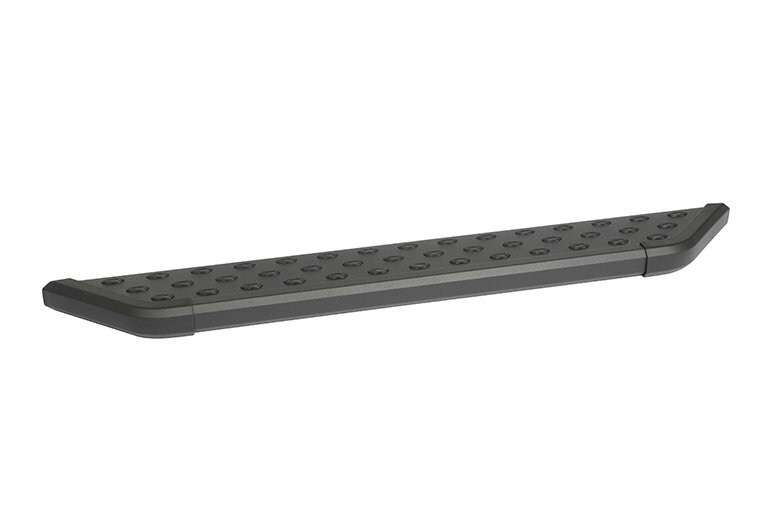 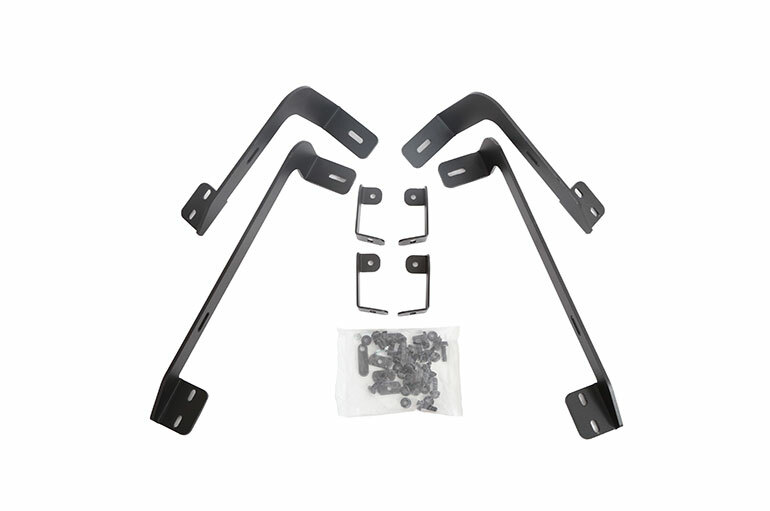 The NXt step is designed for today’s trucks. 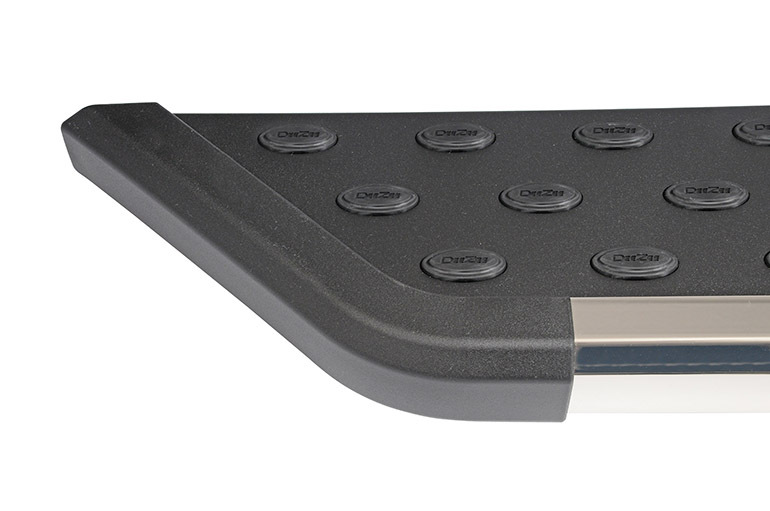 A universal board combined with custom fit brackets fit all listed applications. 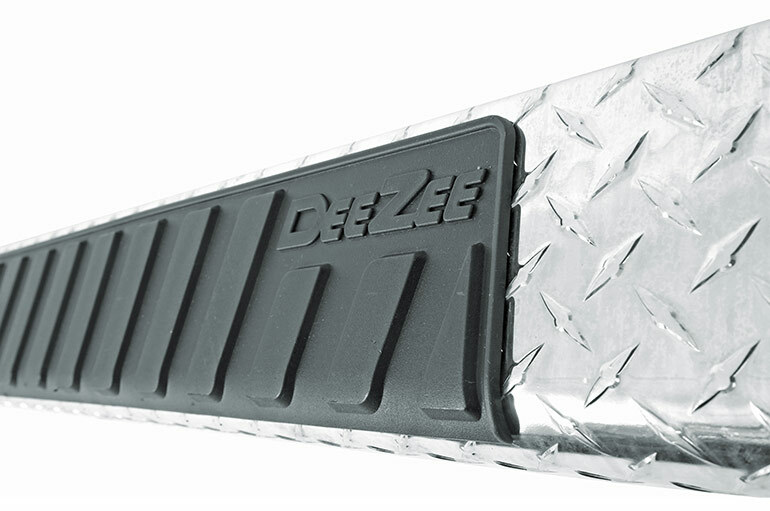 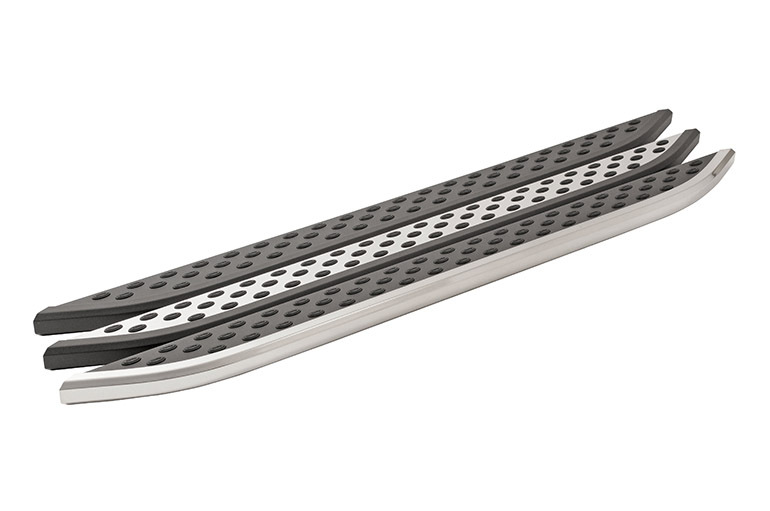 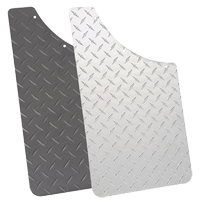 The lightweight aluminum board features protective accent trim. 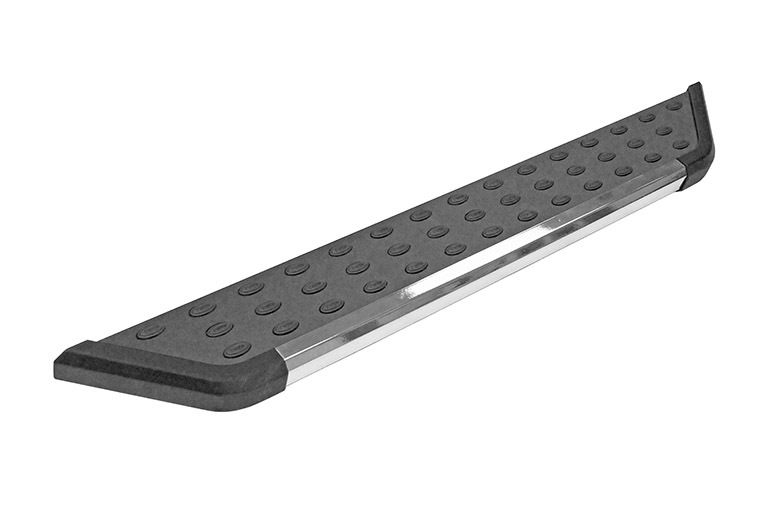 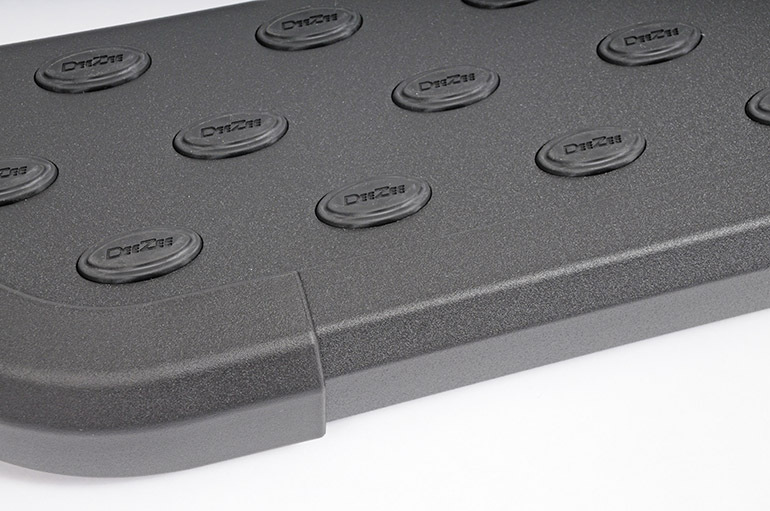 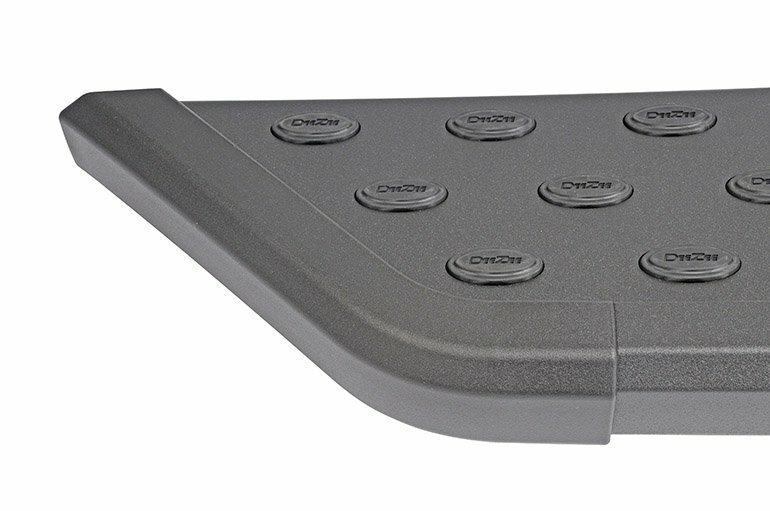 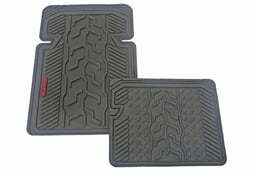 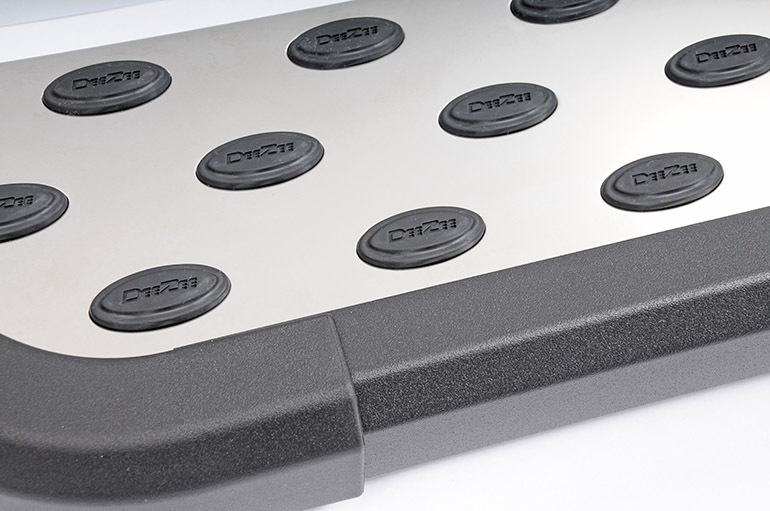 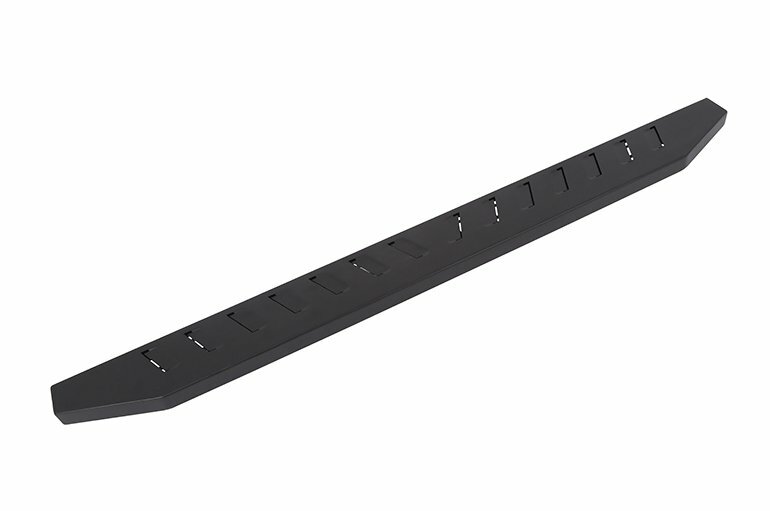 Slip resistant raised Rubber grommets on step area give a sure step every time. 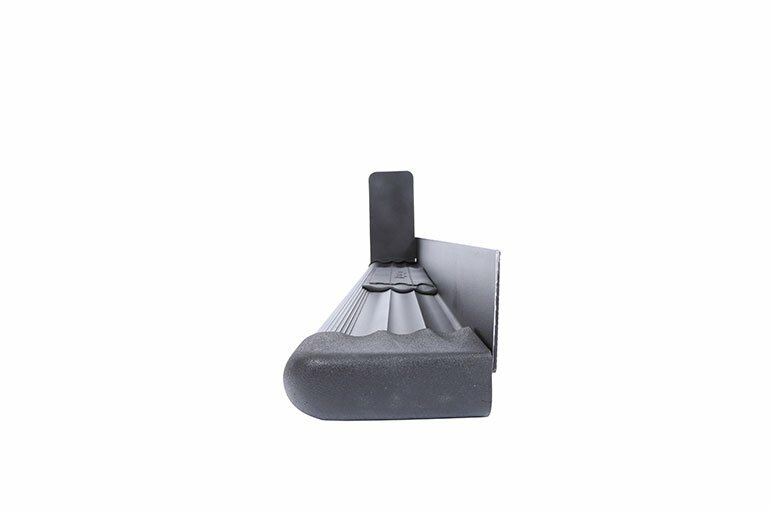 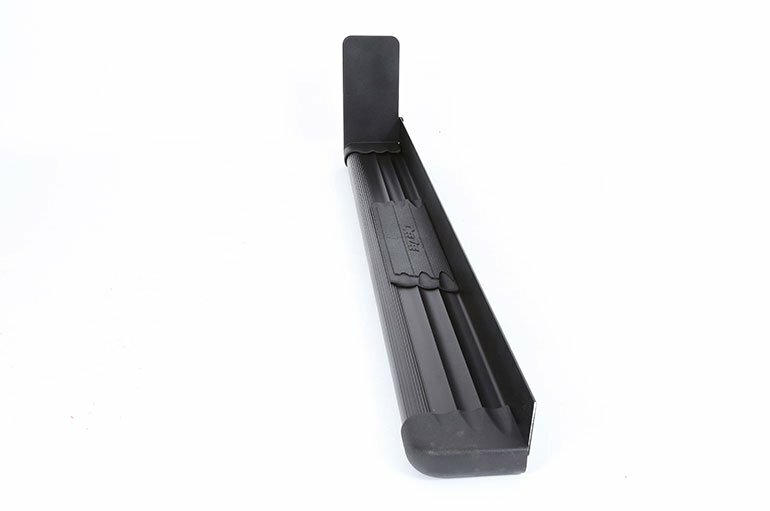 A 6“ step area ensures a secure footing- even for smaller feet with muddy shoes. 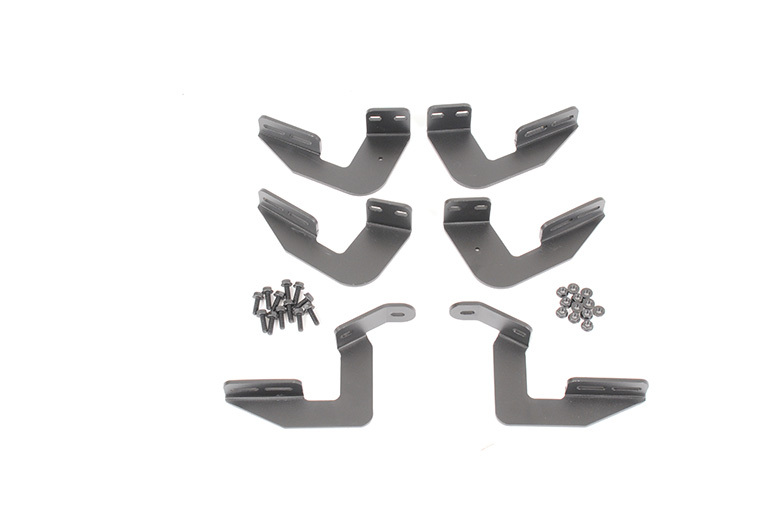 Custom fit bracket kit required. 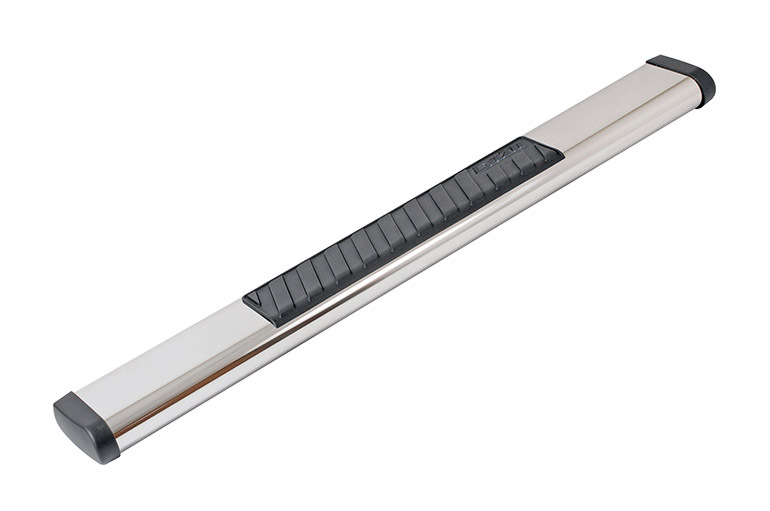 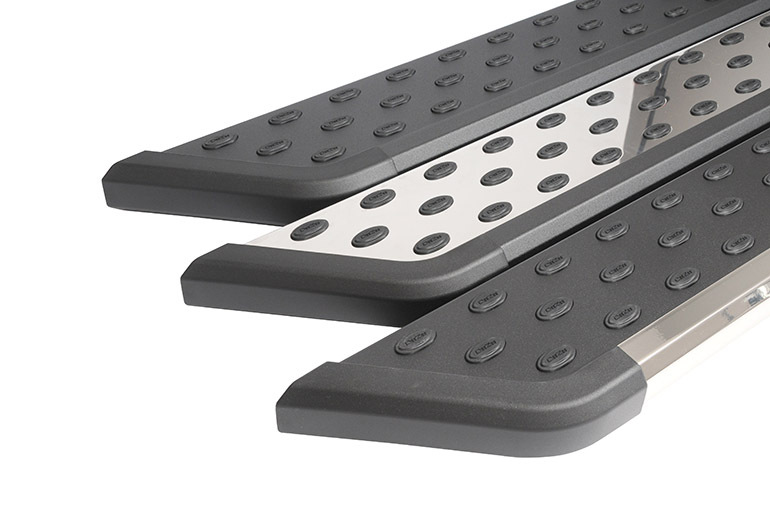 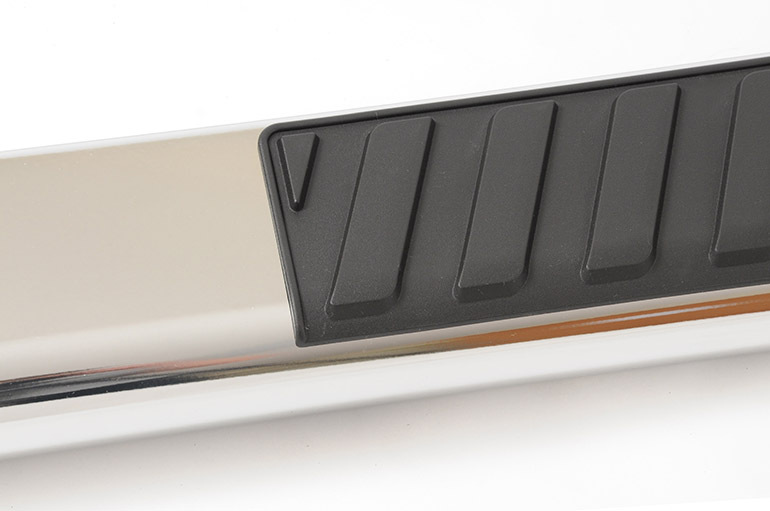 A lightweight powder coated aluminum frame ensures our steps provide a solid step area that will last for years. 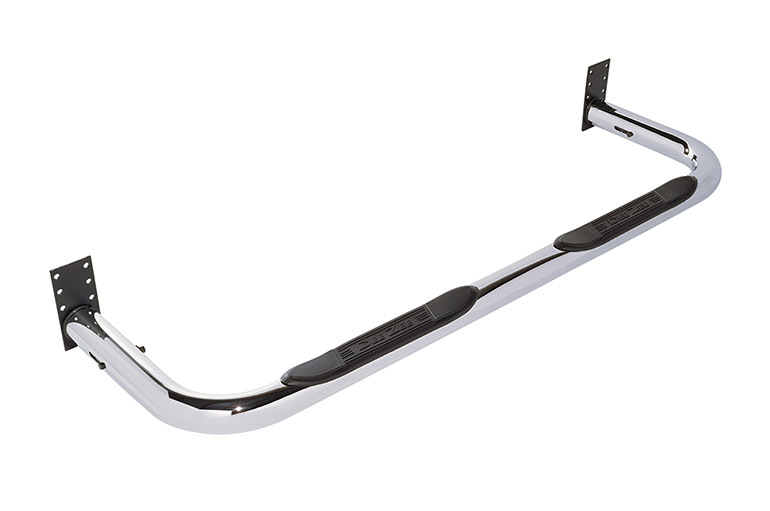 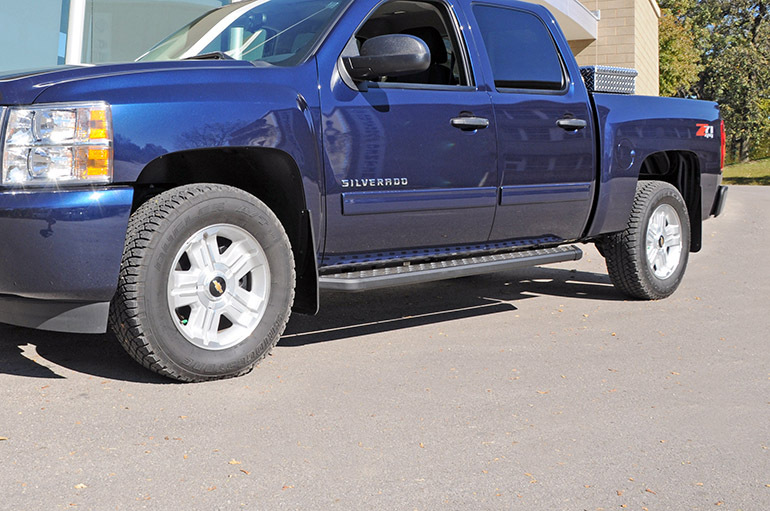 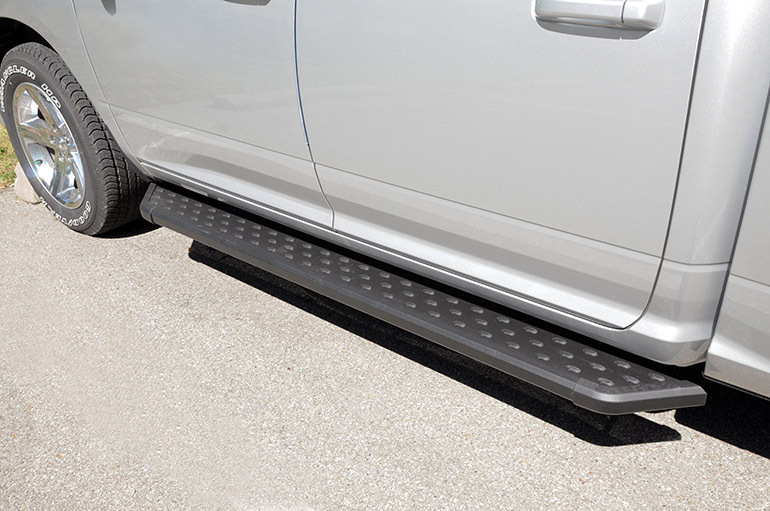 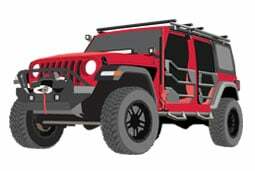 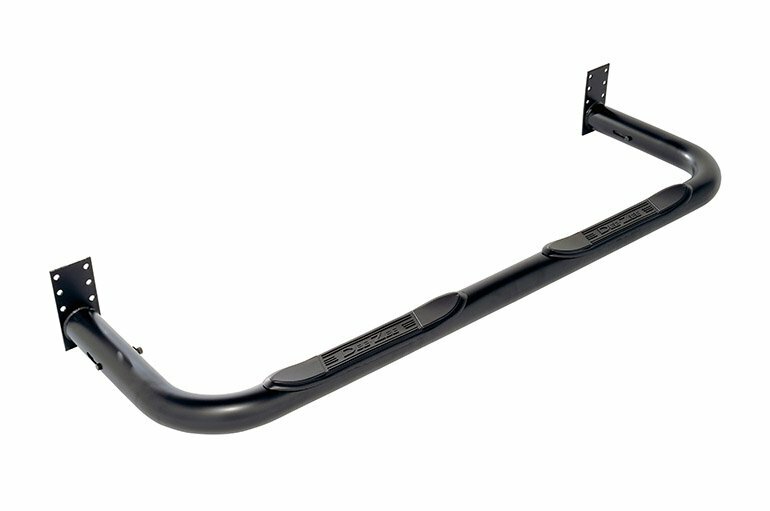 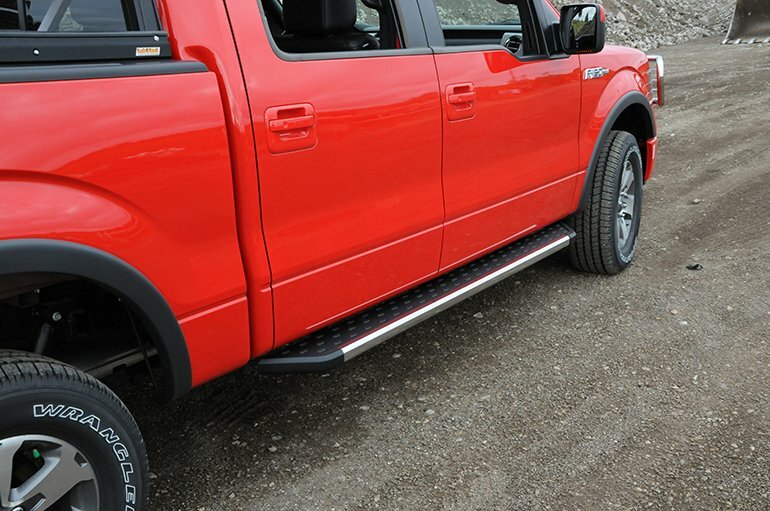 NXt Running Boards are available in 3 distinct finishes: Black powder coat board with black powder coat trim, Black powder coat board with UltraShine trim, stainless steel board with black powder coat trim. 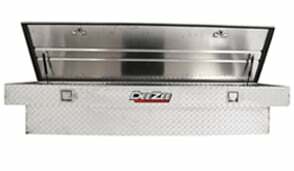 Got a great deal at Summit Racing Equpt. 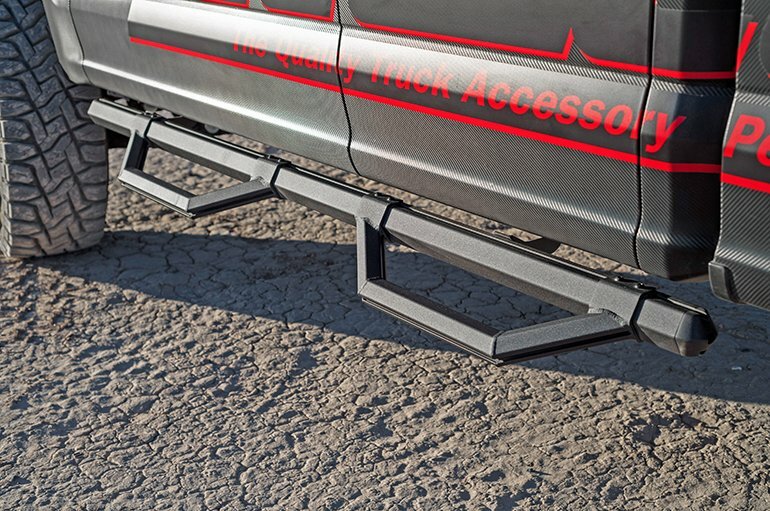 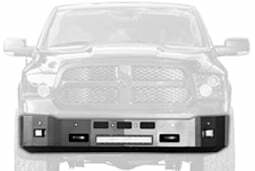 Looked at several brands and decided these were the boards for my truck. 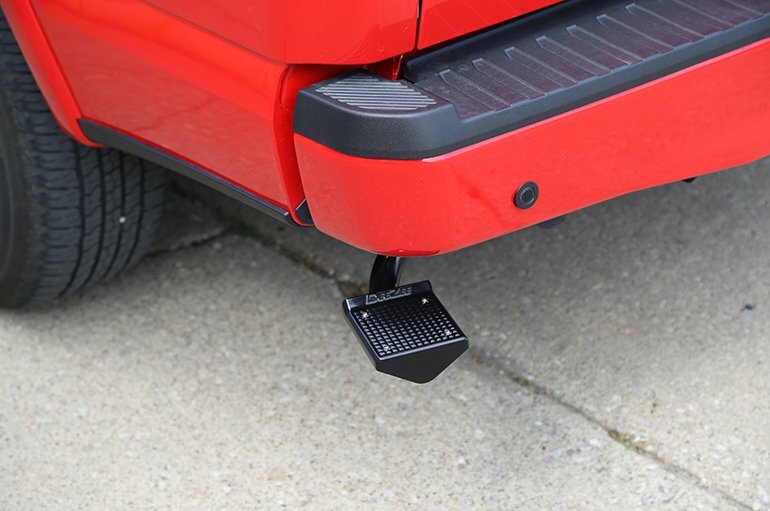 Instructions were a little difficult as to placement on truck. 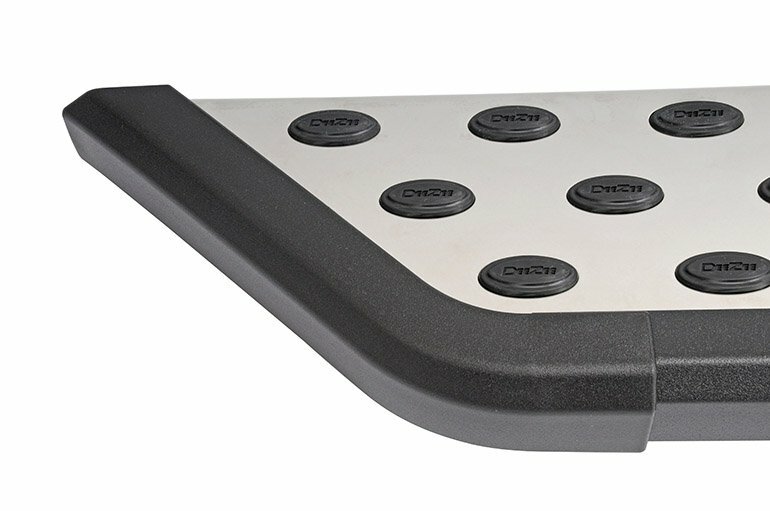 You would assume right on right, left on left, but not. 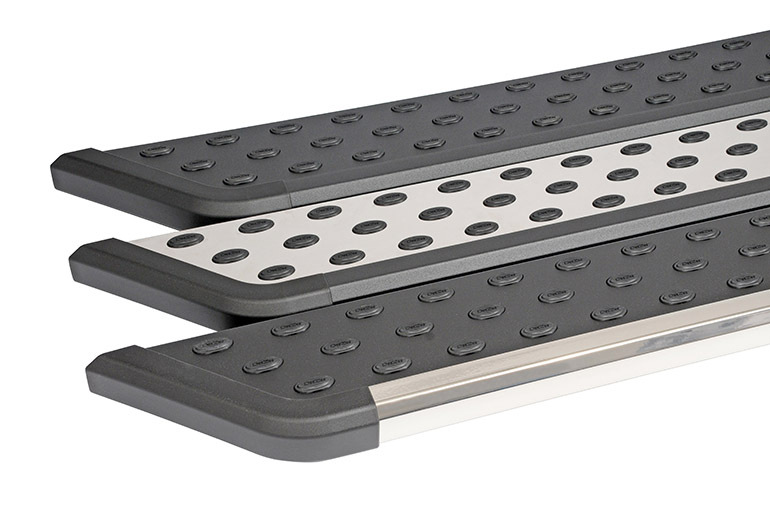 It’s a mixture of each. 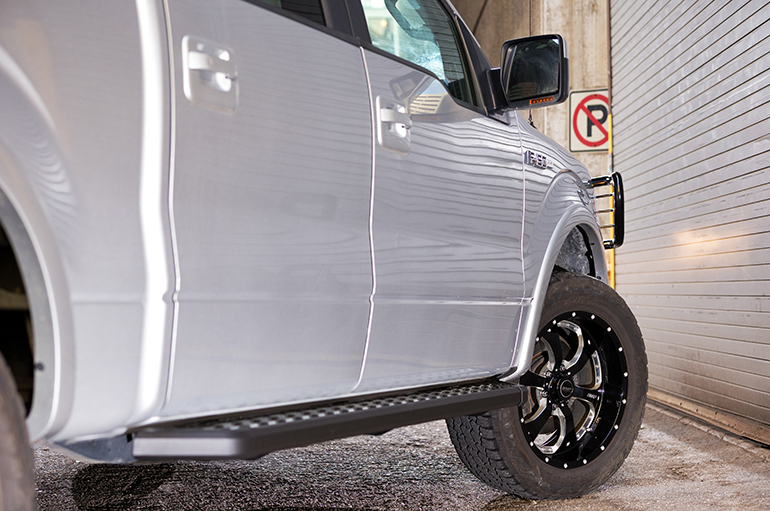 Once figured out, it was a breeze. 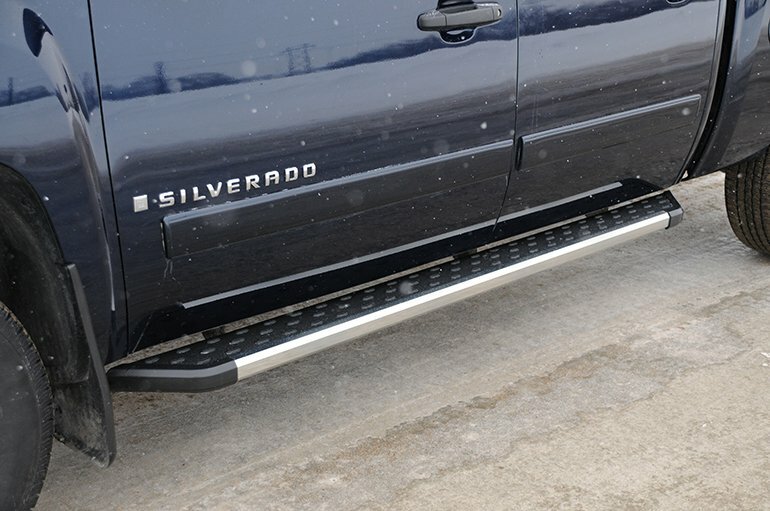 My wife can now get in & out easily even after I added a 2 1/2″ leveling lift.